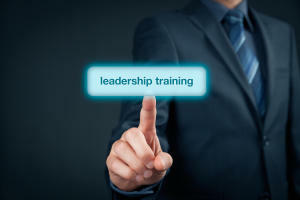 For Leaders wanting to refine their strategic skills, the WSQ Leadership Advanced Certificate enhances leadership ability by addressing purpose, process and passion. This 6+2 modules advanced certificate will develop the strategic skills you need to lead with confidence and success and help differentiate you in the marketplace. Acquire the skills and knowledge to model personal effectiveness as a team leader and enhance your professional competence. Learn how to support and lead a team by examining how to conduct team planning activities, demonstrate organisation values and build support and commitment within the team. Build strong and productive work relationships in your work teams and learn how to develop team cohesiveness and resolve conflicts. Implement change processes within a workgroup confidently by equipping yourself with the fundamental skills in identifying opportunities for innovation, implementation of changes to work practices and continuous improvement processes. Work effectively in the area of developing your team members’ skills. This module covers on how to identify skill development needs and motivate employees to develop their skills. Achieve results within your area of responsibility. It covers interpreting and implementing plans, establishing performance contracts and monitoring team performance.